The Mirror & Beads Work Candle Pair boasts of truly inspirational display of traditional beads work on its body, which is capable of taking anybody’s Read More..breath away. 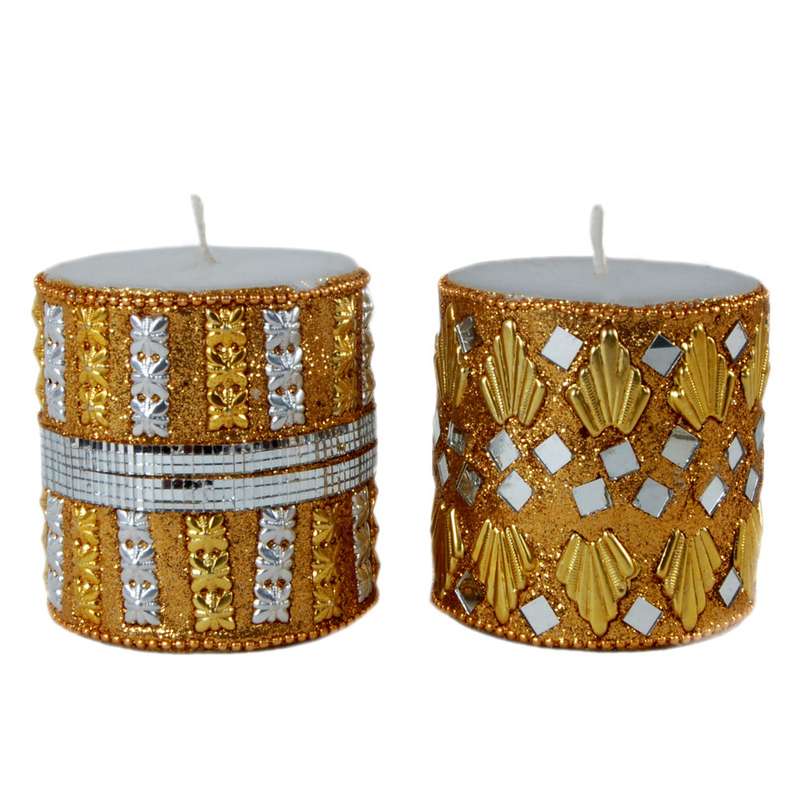 The mirrors nicely accentuate the mindboggling array of beads work present on the wall of the columnar shaped candle pair. In fact, the two are ideal matches, and provide the best possible visual splendor that one could expect any candle pair to possess. Therefore, this candle pair can be the perfect choice for adorning the tabletop or shelf in the household of all the avid lovers of traditional artwork. Show Less..